Experis is Norway’s largest consultancy and recruitment company with over 500 consultants. We offer highly qualified consultants, recruiting and project solutions within the fields of Engineering, Finance and IT. Our Experis Executive Division recruits leaders and key personnel in the private and public sector. Among our clients you will find over 90 percent of Norway’s leading companies. 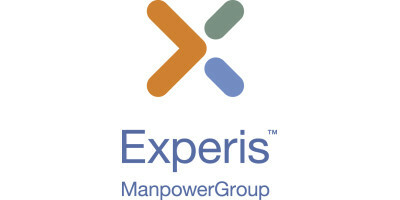 Experis is a company in ManpowerGroup and is voted one of the world’s most ethical companies. Our client focus on helping clients enhance their operations and optimize drilling performance by applying trend analysis and dynamic modeling to predict changes in drilling conditions that will lead to delays, inefficiencies and invisible lost time. As client continues to gain more business in Norway and internationally, we are growing the organization and looking to hire a Software Developers to strengthen our highly skilled development team in Stavanger, Norway. The development team utilizes IRIS as a R&D partner to develop state of the art technology and the development platform is C#/.Net. We belive you are proactive and flexible Software professional with a university degree in software development to strengthen our development team. A positive and innovative working environment with the opportunity to work with smart and hardworking colleagues that are motivated by problem solving and delivering of unique solutions that will revolutionize the drilling industry. Experis - Samarbeidspartner til Experis?